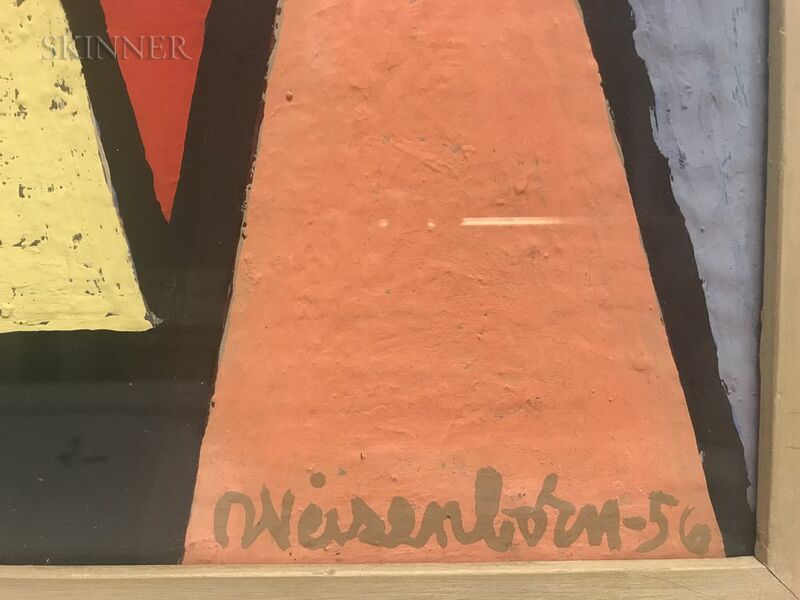 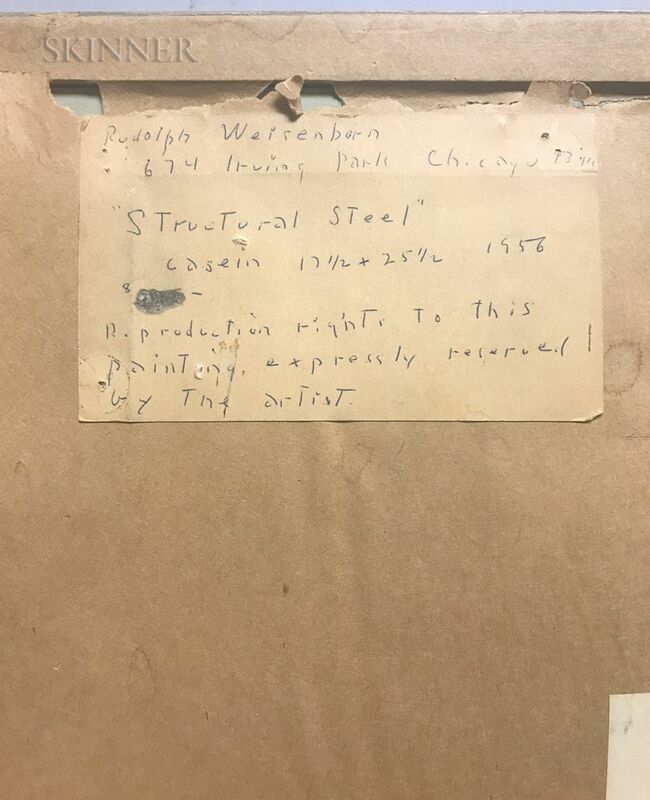 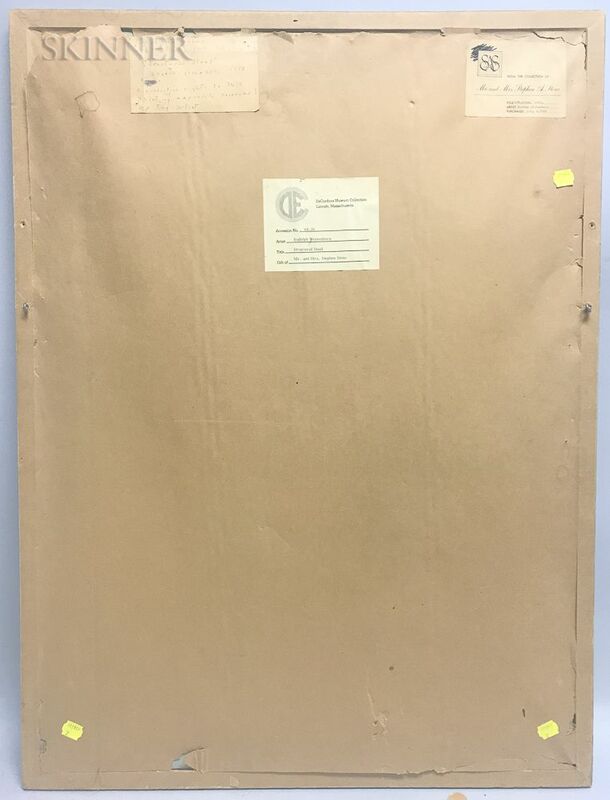 Signed and dated "Weisenborn-56" l.r., titled on labels from the artist, the collection of Mr. and Mrs. Stephen A. 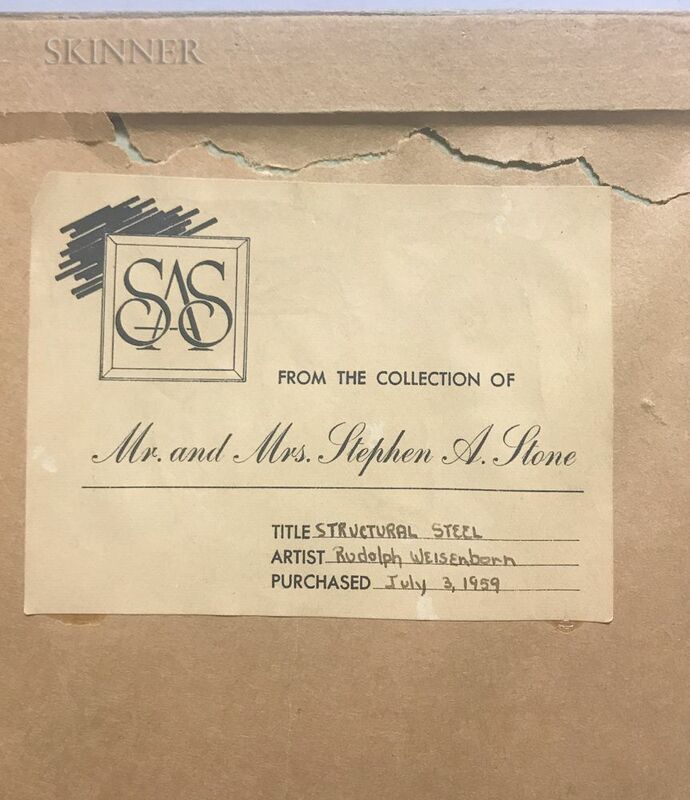 Stone, and deCordova Sculpture Park and Museum, all affixed to the frame backing. 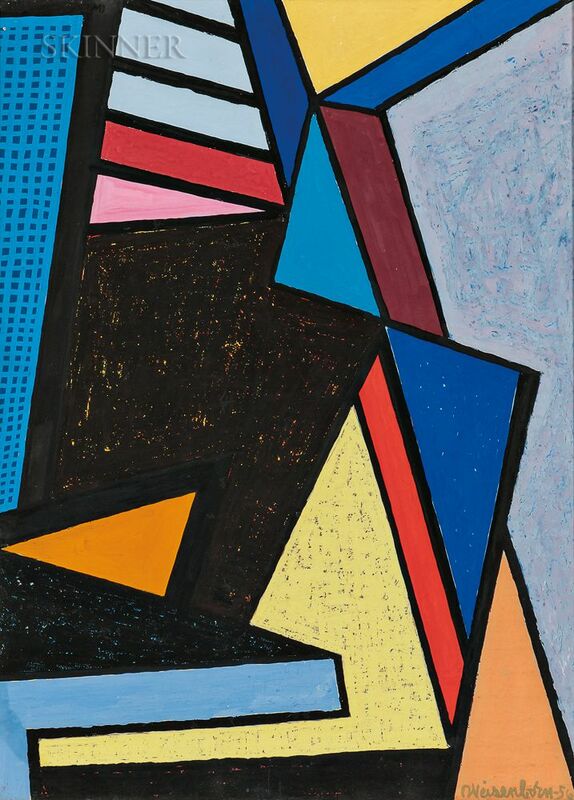 Casein on board, 30 x 22 in. 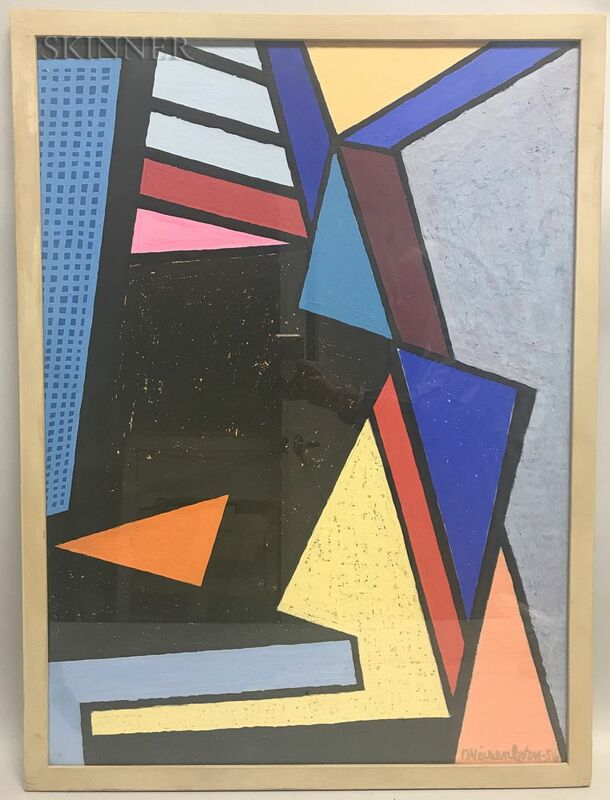 (76.2 x 55.9 cm), framed. 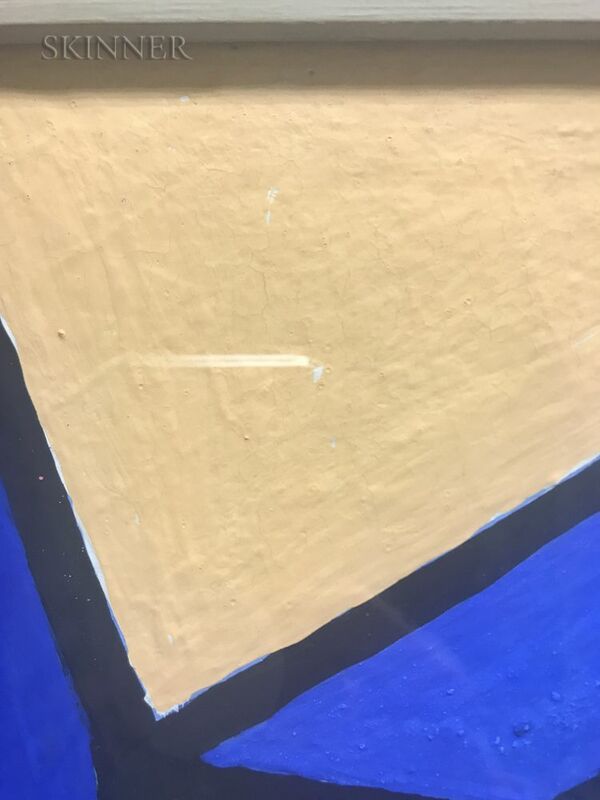 Condition: Fine craquelure, scattered areas of flaking with small pigment losses. 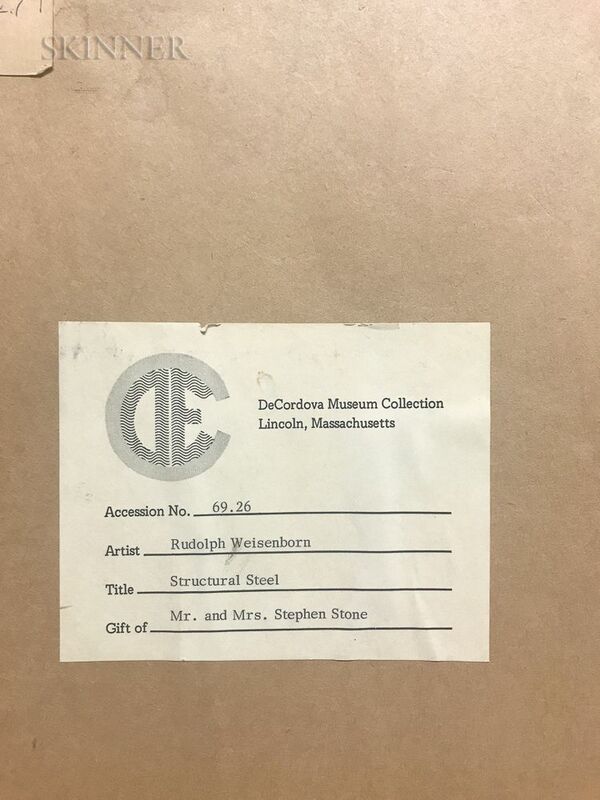 Provenance: Property of deCordova Sculpture Park and Museum, Lincoln, Massachusetts. 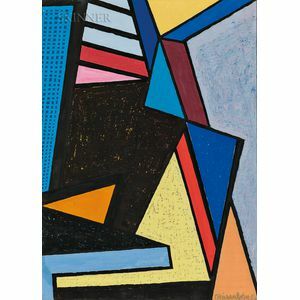 Framed dimensions: 31 1/2 x 23 1/2 in.